Protect Your Teeth…Wear a Mouthguard! With the much-awaited arrival of spring, kids, teenagers and adults will be heading outdoors, hitting the playing fields and participating in their favorite athletic activities. In any sport where objects such as a balls and pucks fly through the air, when those objects are struck with a stick, racquet or bat, and when purposeful or accidental contact with another player is likely to occur (especially elbows and kicks), the incidence of injuries to the teeth and face can be very significant. 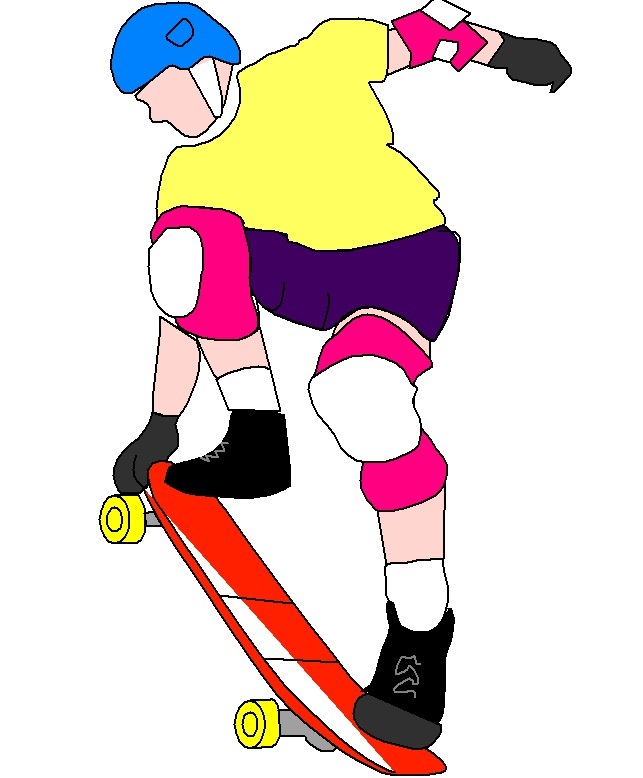 Some injuries can be fairly minor with only scrapes and bruises. However, many injuries are more serious resulting in significant pain, disfigurement, expense, inconvenience and long term care. Chipped and missing teeth, broken jaws and concussions are reported every year in organized sports. Over 5 million teeth are knocked out each year during sports activities. While this number is staggering, the American Dental Association estimates that more than 200,000 oral injuries are prevented every year thanks to the use of properly-fitted mouthguards. Using mouthguards during sports or athletic activity can help prevent dental and facial injury. Sports or athletic mouthguards are flexible plastic dental appliances, which when worn can provide protection for your mouth’s soft tissues (lips, cheeks, gums and tongue) and hard tissues (teeth and jaw bones). Direct blows to the mouth and teeth are cushioned by the mouthguard, which absorbs a lot of force directly to the mouth. 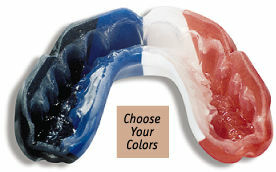 Our mouthguards are custom made to create a perfect and comfortable fit. They fit the teeth like a glove and hold them in place. Worn on the upper teeth, speech and breathing is totally unaffected. We have made mouthguards for a wide range of sports such as basketball, baseball, soccer, rugby, gymnastics, mountain biking, martial arts, skate boarding, rollerblading, cycling, hockey and volleyball. 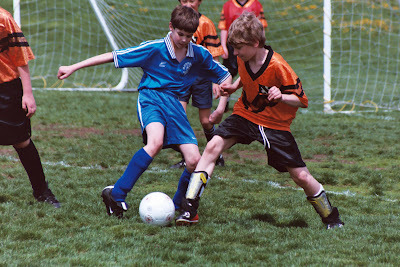 Anytime there is a chance for contact with other participants or hard surfaces, it is advisable to wear a mouthguard. In basketball, where mouthguards are typically not worn, 34% of injuries involve the teeth or mouth. Nowadays, we go to great extent to protect ourselves and our children with helmets, kneepads, shoulder pads, elbow pads, wrist guards, masks and gloves. Yet, one very important piece of protective gear is still not worn consistently…the mouthguard. It can also prevent serious injuries such as concussions, cerebral hemorrhages, incidents of unconsciousness, jaw fractures and neck injuries by avoiding situations where the lower jaw gets jammed into the upper jaw. Mouthguards are effective in moving soft tissue in the mouth away from the teeth, preventing laceration and bruising of the lips and cheek, especially for those patients who wear orthodontic appliances. This minimizes the risk of broken teeth and injuries to the soft tissues of the mouth. The stock mouthguard is inexpensive, and comes pre-formed, ready to wear. It offers the least protection, since it doesn’t fit well. It interferes with speech and breathing. We consider this guard to be unacceptable as a protective device. The local drugstore variety of “boil and bite” mouthguard can be bought online or obtained at many sporting goods stores. They are softened in hot water and adapted to the mouth and offer a better fit than stock protectors. Used by 90% of athletes, they are less expensive than custom-made guards, but neither fit as well, nor last as long. Custom-fitted mouthguards, the type that we make, are the best choice for optimal fit and protection, because it is made from an impression of your teeth. Our custom-fitted mouthguards are available in five thicknesses depending on the sport and the level of anticipated contact. They also come in a myriad of colors and designs to show your team colors. So have fun and get in shape, but remember to protect your teeth from injury with a custom-fitted mouthguard!